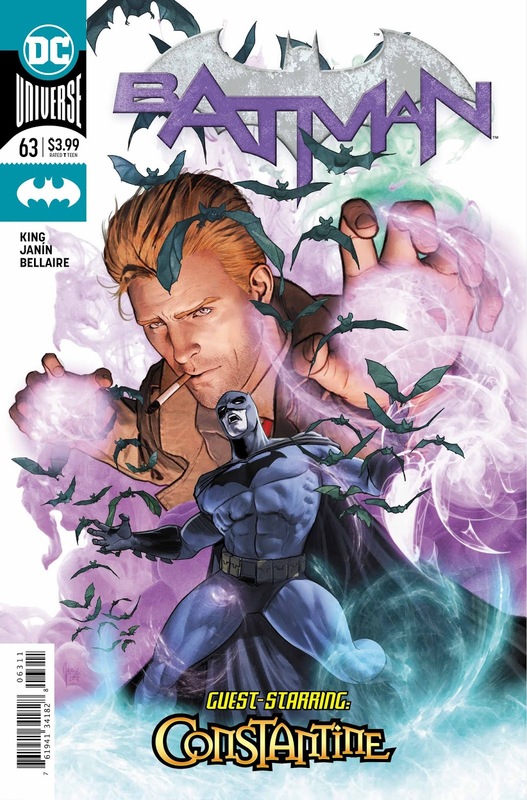 This may all be nightmares but this issue starts as a dream come true for Bat/Cat fans. Yep, they get the wedding they never got and more! A honeymoon and even some crime fighting like we used to get in the good old days of twenty issues ago. I know I wasn't the biggest fan of it, but I can like something because it makes others happy, right? Depending on what you really want out of this, however, Tom King is walking a tight rope here and it feels like he's doing it without a net. The whole thing is narrated and guest starring John Constantine. His narration feels heavy and even inconsequential to what readers of this book are getting, but in the end, it is all a nightmare/dream anyway. That's not all bad since King does seem like he is lifting the veil a bit to show fans the what might have been if the wedding took place and the alternative here is dark. I have no issue with that at all. What I have an issue with is the idea that this is a nightmare to Batman. 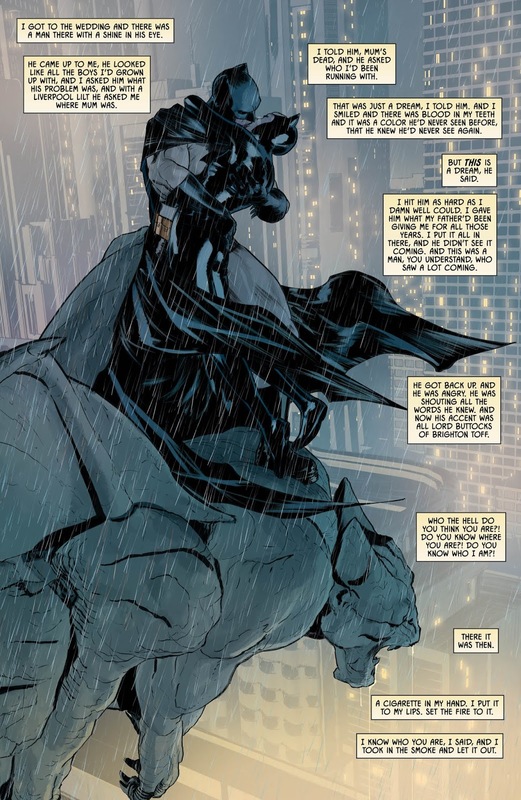 Again, it points to a bleaker reality than the one that actually took place so if I was Batman, this would make me give out a sigh of relief that Catwoman is presently in Villa Hermosa...too far away but at least alive. Again, the parts with Catwoman will get the most play I'm sure, but they aren't why I liked this issue most of the Nightmares so far. 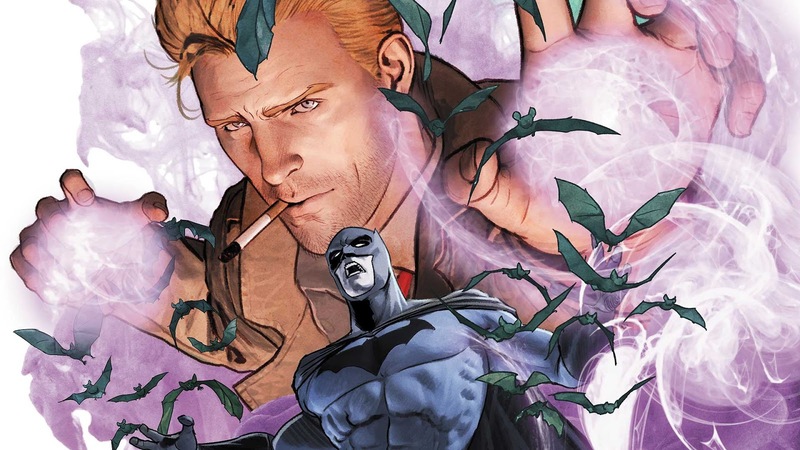 No, the reason comes on the last page when Constantine tells Batman what's going on. Funny, that in a book where fans will be going on about getting the wedding they thought they deserved I really like a page that I wish would have happened in Mister Miracle. Was this intentional? I doubt it, but it really felt like it to me personally. I liked this issue despite a lot of things that rubbed me the wrong way. The whole issue felt like fan service, Constantine felt like he was just plugged in and the dialogue and narration was heavy-handed and clunky. 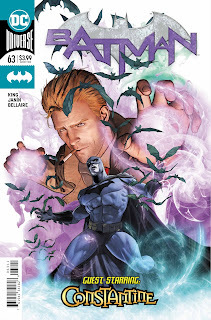 Beyond that, though, we got a peek at a dark alternative and by the end, this issue gave me a clue into what was actually happening to Batman since his father paid him a visit in the Batcave. 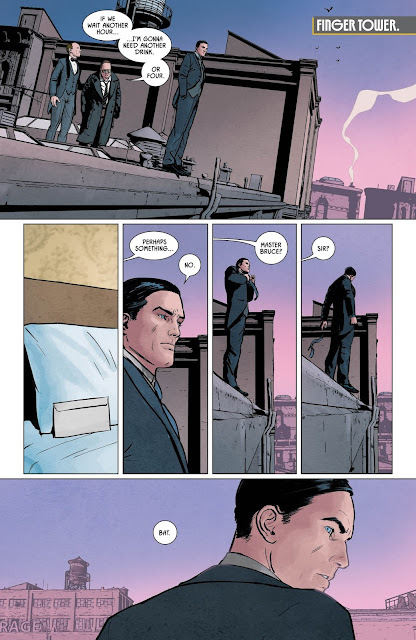 The art by Mikel Janin was also fantastic and felt right here. The Nightmares continue and depending on what you are looking for, this may be a dream you don't ever want to wake from or just a reminder of what you didn't get. Tom King uses this opportunity to show that maybe a failed wedding is a better one, but in the end, I liked finding out what Batman is up against...maybe. Mikel Janin's art was great in this issue (maybe the best it's been in quite some time) and this one is sure to get people talking on the intranets. I feel this is just like click bait. he just wants to taunt people again just to remind us of what he said before, "the next 50 issues is the story". hahaha how pathetic tom king really is. Liked this much more than the previous few issues, maybe just because the holes in the Master Bruce and Pyg stories were discussed. You can say it's a cheap cop out that it was all a dream, but I did like the way King explained it through Constantine. I also kind of like the idea that the nightmare is that the wedding actually happened. That if it happened, there was no way Salina wouldn't die. Again, easy cop out for King to say 'That's why they couldn't marry,' but I guess I'll take baby steps at this point. I guess it's a nightmare because he cant be with Catwoman either way it goes. Maybe that's what he's realizing. But since its batman's dream, that could just be his way of moving past her. But that is just more of the filling in the blanks that you've complained about with this series.